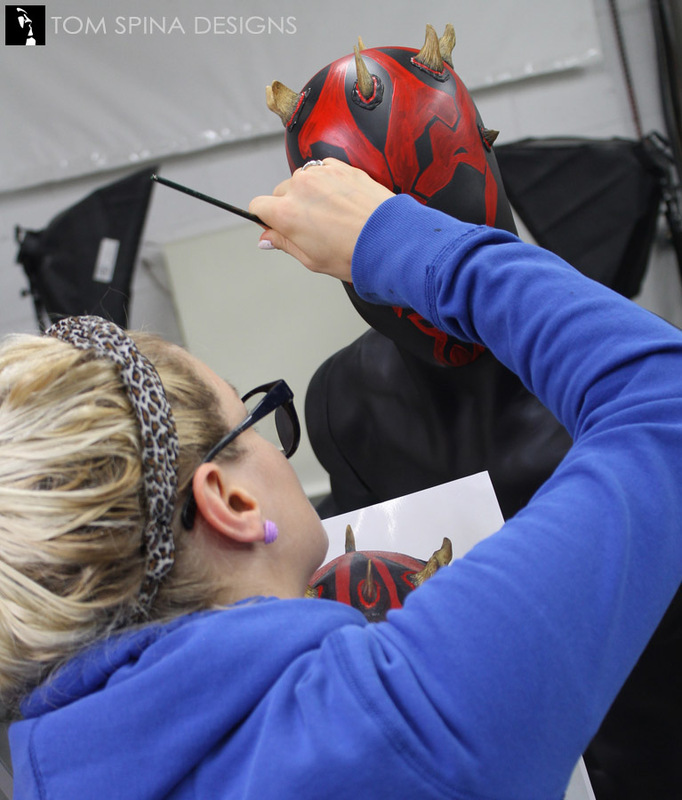 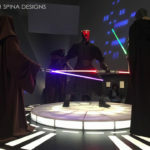 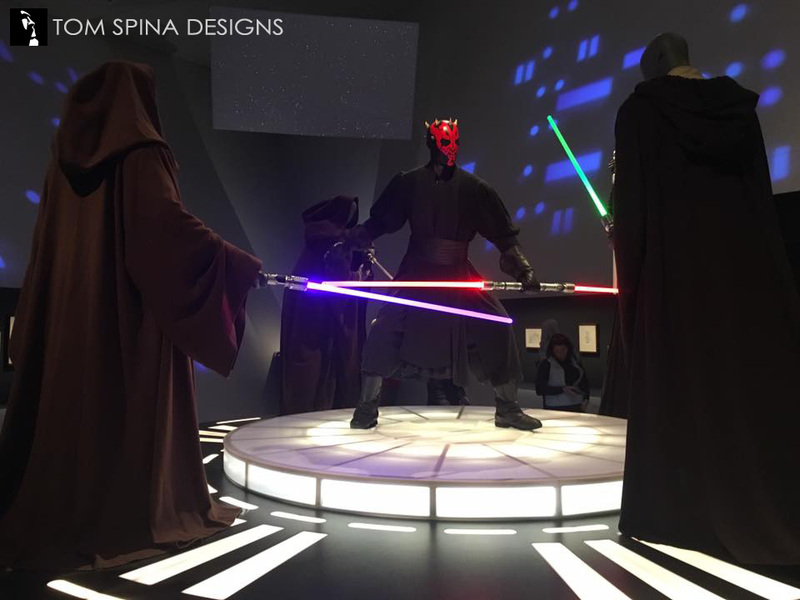 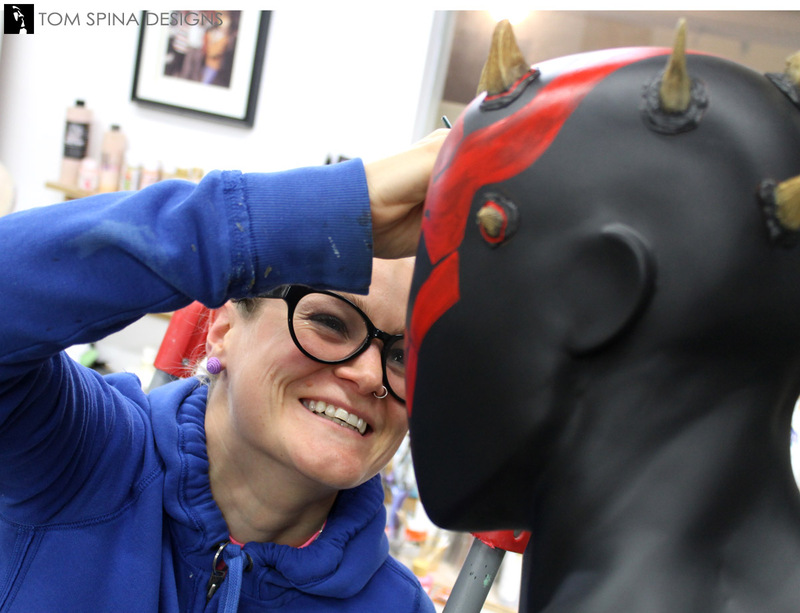 We here at Tom Spina Designs love anything Star Wars, and always enjoy the chance to work on any project from that “universe.” This Darth Maul mannequin was like all projects in and came with its own set of challenge. 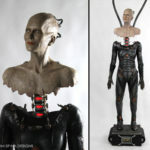 While a custom posed mannequin isn’t a huge challenge on its own, when it comes using historical items it is not as easy as dressing a department store mannequin. 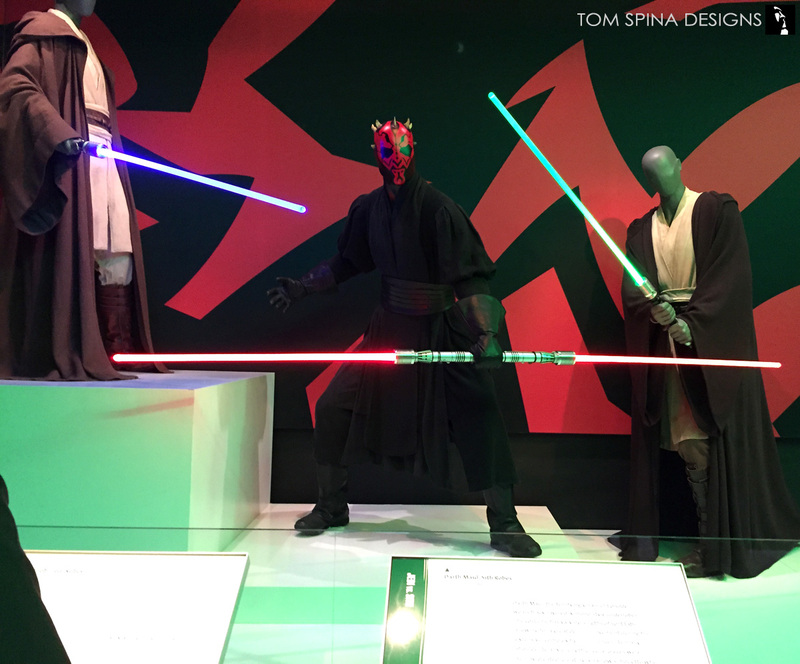 For Darth Maul we needed to recreate a movie inspired pose made to fit the original costume using only measurements (as the costume was on tour) as well as have the figure break down to allow for dressing in a way that would not damage or stretch Ray Park’s screen used costume. 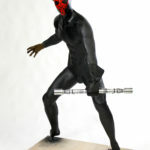 We also needed a way for the figure to hold a heavy lightsaber. 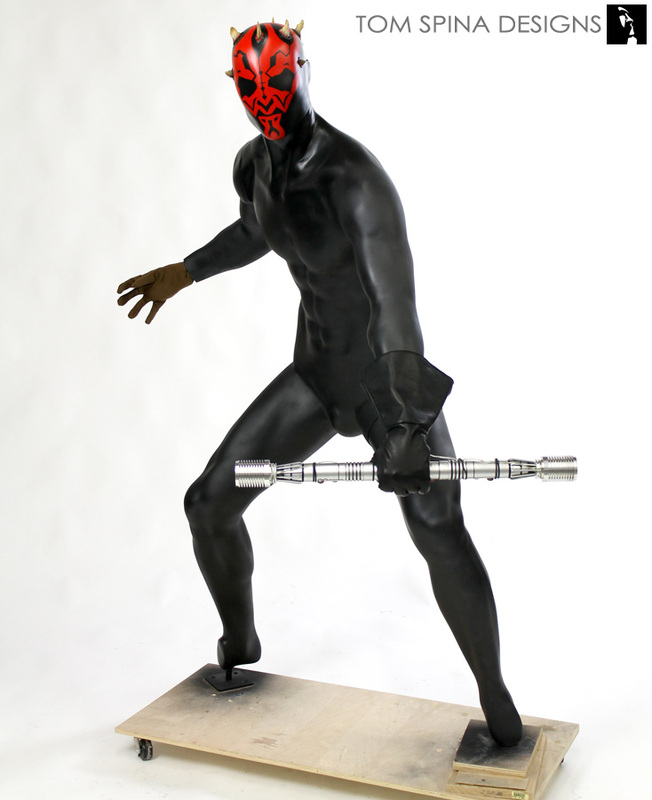 We created a custom welded hinged locking clamp which we padded to secure the double bladed prop. To hide the prop’s wires, we had the manufactures of the original movie prop gloves create us a replica left glove. 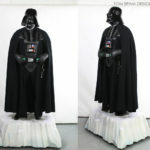 This way we could add a hole for the hinge and wires to run though without damaging the original costume. 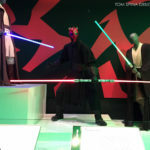 We finished it off with a bendable foam hand that wore the glove and wrapped around our welded piece, to give the illusion that the double bladed red lightsaber as being held by the mannequin’s hand. 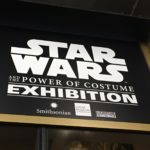 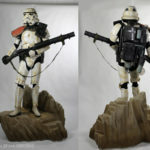 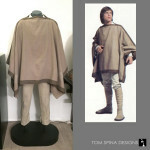 This touring exhibit (currently in New York City’s Discovery Center) was developed by the Smithsonian Institution, in partnership with the Lucas Museum of Narrative Art and in consultation with Lucasfilm Ltd. 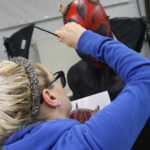 They requested Darth Maul’s signature facial tattoos and horns but also a cohesive look with the other, faceless mannequins in the costume exhibit. 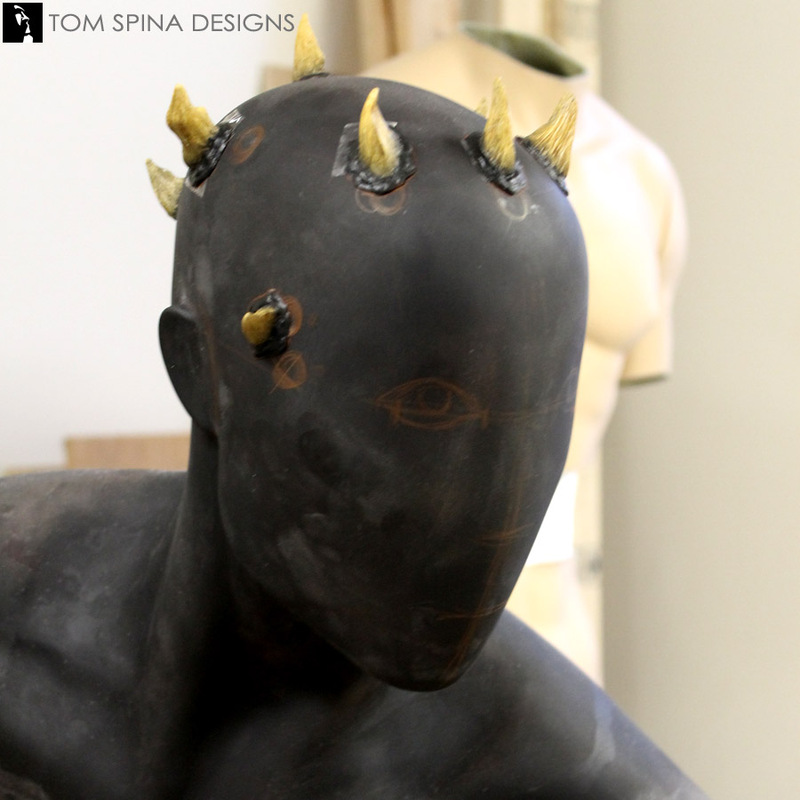 We achieved this by adding the tattoos and three dimensional horns to an “egg head” or abstract mannequin face. 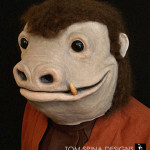 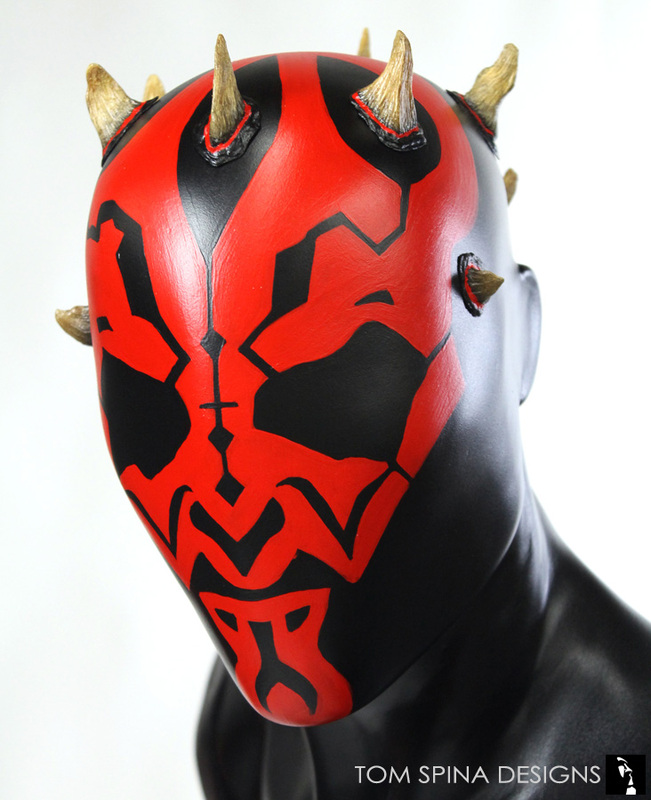 The Darth Maul horns were sculpted by Philip Robinson and then they were painted by Steven Richter. 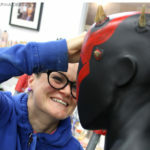 Melissa Dooley turned Ray Park’s original make up into a minimalistic but instantly recognizable paint scheme for this custom mannequin’s head. We also had the opportunity to create a few pairs of custom hands for the exhibit. 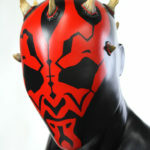 Including some for Princess Leia, Zam Wesell and Emperor Palpatine. 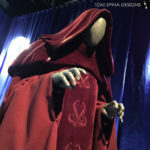 For Leia and Zam we chose to go with a more delicate mannequin looking hands. 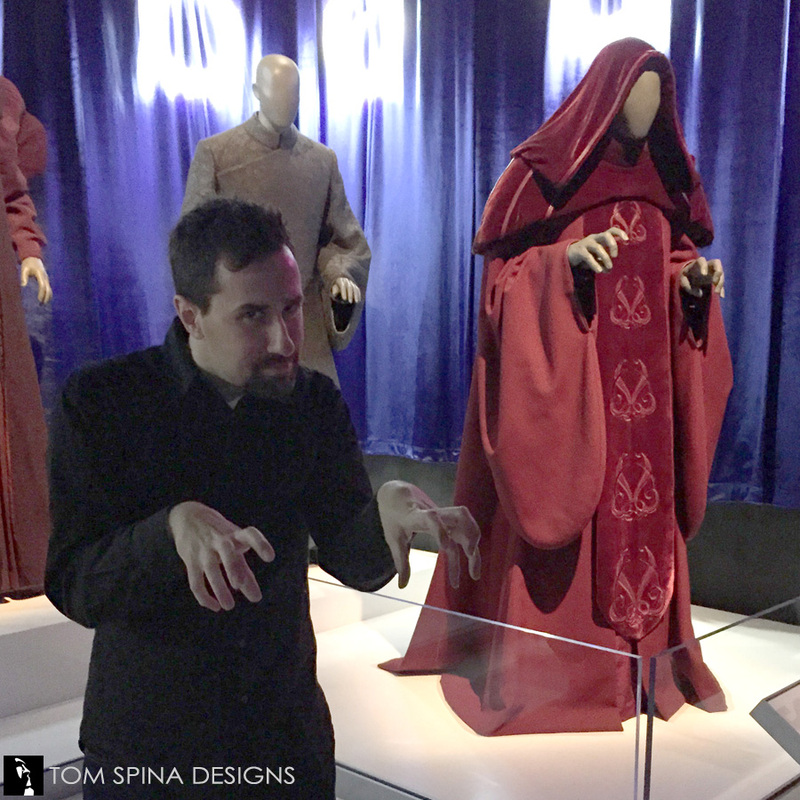 With the Emperor’s hands we decide to go with a a pair of life casts to really capture his signature look, and Tom was more than happy to lend us a hand (or two!) as we molded his hands into a sinister “force lightning” pose!